One of my most favorite joys of traveling is trying new restaurants in different cities. 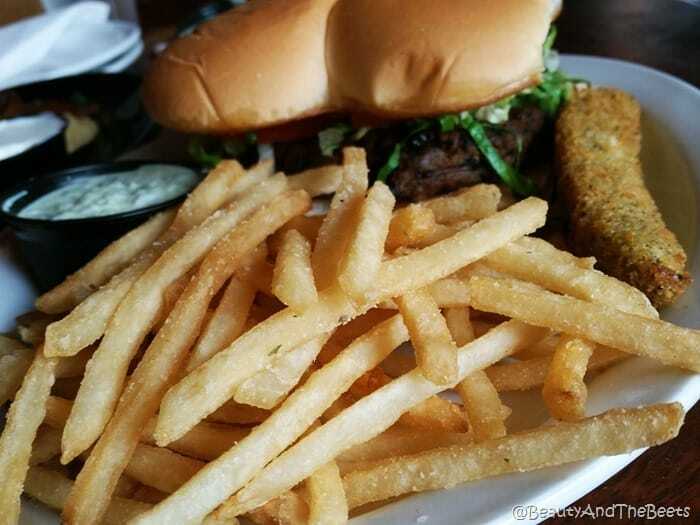 To me, restaurants are the backbone of a town’s culture. So on a recent trip to Cleveland, I set out to find a restaurant that served pierogies, a Cleveland culinary icon. 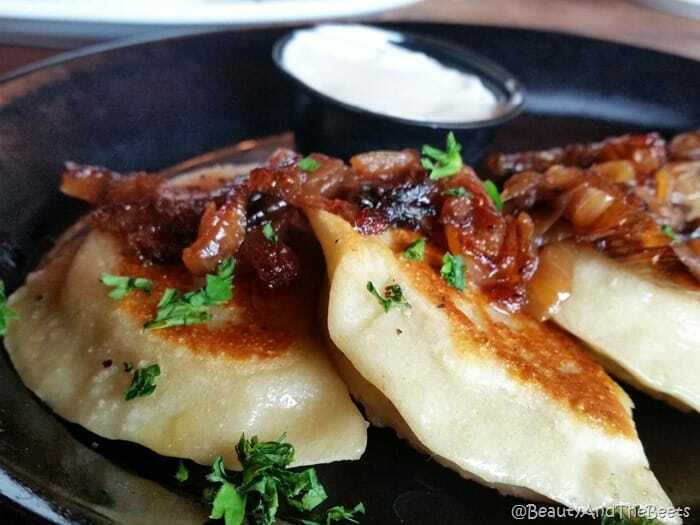 Turns out, most every restaurant in Cleveland serves pierogies. So now I just wanted to find a place that served Eastern European fare, and Vegetarian burgers. 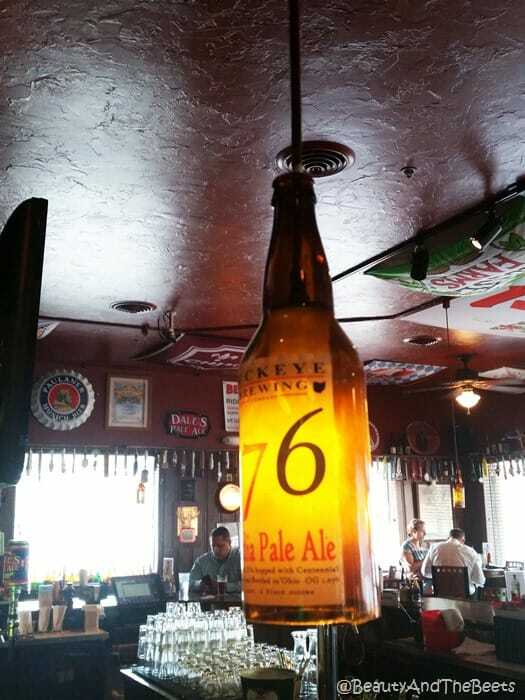 Enter Buckeye Beer Engine. Pierogies, potato pancakes, and black bean burgers. Game, match, set. Mr. Beet and I ordered a few appetizers. 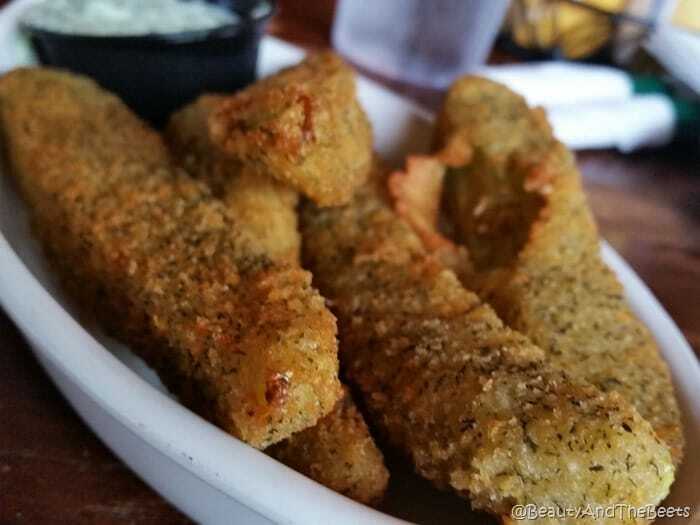 We started with the fried pickle spears served with a wasabi-cucumber sauce. 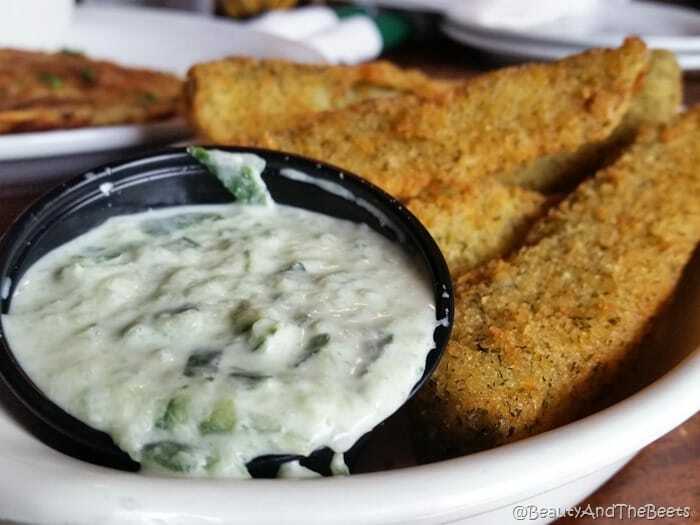 Most places that serve fried pickles serve pickle chips, but here at Buckeye Beer Engine, you get the whole spear. And they were crunchy, not at all soggy. 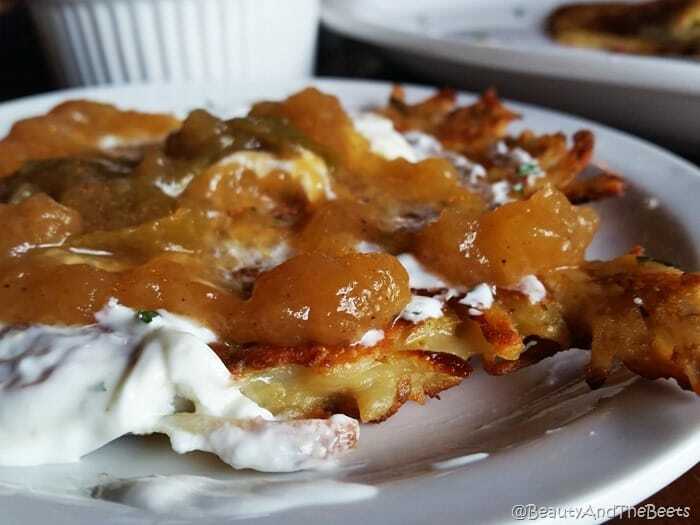 We also tried the potato pancakes with sour cream and applesauce. 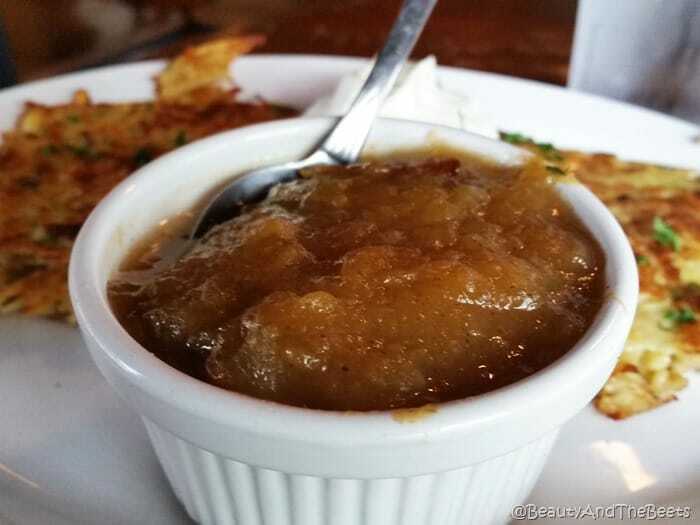 The applesauce itself was a treat, it’s obvious this stuff is homemade as it was chunky. 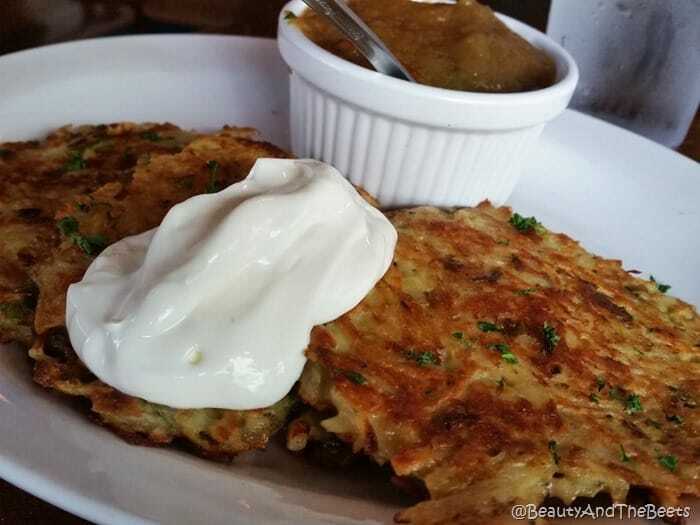 Potato pancakes, sour cream and applesauce are always a great combination. Next up, the pierogies. While they do not make them in house, they are from a famous bakery up the street in Parma, Ohio called Rudy’s Strudel. And they were delicious. Stuffed with potato and cheese and topped with grilled onions, they were also served with a side of sour cream. Sour cream is everything. Mr. Beet ordered the black bean sliders. 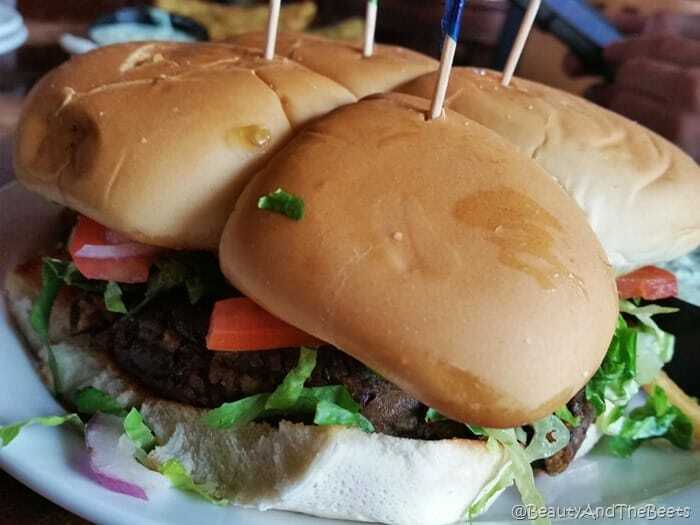 They were good, topped with lettuce, tomato, onions and a side the wasabi-cucumber sauce. He liked them but they were definitely more bun than burger. Not my favorite but the fries were good. Buckeye Beer Engine is a great place on a corner in the Lakewood neighborhood just west of downtown Cleveland. 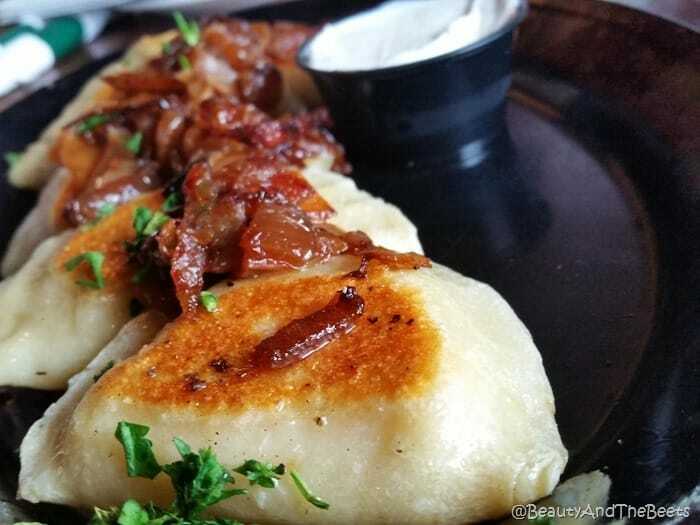 Certainly worth a visit for the pickle spears and pierogies. 4 out 5 sprouts.